>> Home , Economics , Cronyism Strikes Again! Just this past weekend there were some Americans who were given the gift of jetlag from their respective state governments. This gift is endearingly called “daylight savings”. For those not familiar or accustomed to this bi-annual practice, it’s when you go to sleep one night… and without the benefit of travel… the clocks are moved either one hour forward (as was the case this past weekend) or one hour back (which will happen in the fall later this year). We have two states that abstain from this practice: Arizona and Hawaii. The argument in favor of daylight savings is that it helps those northern territories take advantage of daylight hours and helps save on energy costs. By shifting everyone’s day an hour earlier or later, operating hours are kept within daylight hours…which helps businesses save by not having to run the heat longer during the “shorter” days. MY PERSONAL bill remains unaffected because it’s still cold for the same amount of time and still hot for the same amount of time no matter what time they say it is. Conserving energy and saving money is good right? Absolutely! Too bad that’s not even remotely true of the effects of daylight savings or why it’s really still around. The truth is, it’s still around because of the golf and barbeque lobbies. How much clout do you reckon they have with members of congress and large corporations and banks? Probably a little, right? As it stands, our day starts and ends with the golf industry. Lobbyists don’t restrict their interference in the lives of individuals on just the high level stuff. Sure, there are the military and weapons lobbyists who are the reigning succubi in Washington, and the lobbyists on a more local level are often overshadowed by them… but they should not be overlooked since their influence has a far more direct impact on your goings. It’s no secret that the established institutions lobby to keep rising competition at bay with various costly, albeit innocuous, regulations. For example, Louisiana is the only state that requires you have a LICENSE to arrange flowers. If the argument for licensing is public safety, I’d like to know exactly how the public is jeopardized by a poorly arranged bouquet of flowers! In Texas, in order to weave eyebrows, you need a Cosmetology license. The coursework in Texas Cosmetology doesn’t even teach brow weaving! But you can’t operate a business that offers that service without the license. Half the states in the United States require some sort of certification to practice interior design. Because god forbid you arrange someone’s furniture that obstructs the chi of the room! Or you put Clay instead of Saffron as the accent wall! The Institute for Justice deals with a lot of these cases, but the long and the short of it is: the established members of those industries lobbied for licensing laws that grandfathered themselves out of such obligations or requirements. They just stacked the barrier to entry for up-and-coming entrepreneurs. The most recent crony move on the part of lobbyists is by car dealerships. Perhaps you heard of a nice ride called the Tesla? Maybe you find it to be such a cool car, you’d like to buy one? Great! Just don’t expect to do so in Colorado, Texas, Arizona or Virginia. · All new car dealers must provide a franchise agreement in order to receive a license from the state. · Dealers must maintain facilities of at least 1,000 square feet, with room to display two cars and the capability to service customer cars on site. 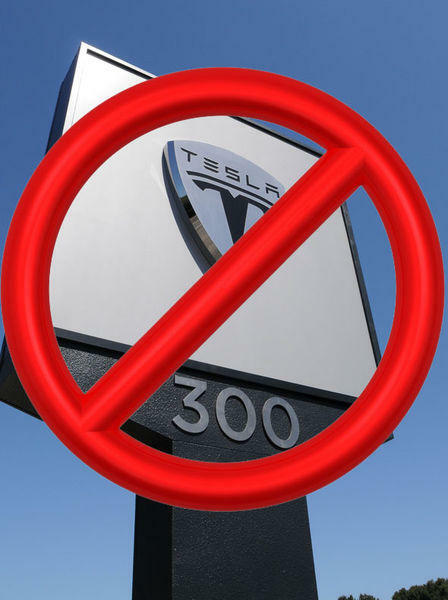 Tesla sells their cars direct from the manufacturer, so they don’t have dealership franchises like other automobile companies do. And since their cars are electric, they don’t need a service center. The majority of problems are software related and can be fixed remotely. Well, those are big no-no’s! Hmmm… can‘t provide a franchise agreement if your company doesn’t franchise its distribution centers. No need for a “service center” if all you need is some tech guy on his computer to talk you through a process over the phone. I guess that will keep Tesla at bay for a while. Either they can incur the cost of meeting these requirements, OR just not sell their cars in these states. Interestingly enough, you CAN buy other cars direct from the manufacturer. You don’t HAVE to buy from the dealerships. But they also offer the “convenience” of a middleman for those unfortunate enough to live in one of the afore-mentioned states. So, I have to ask: Only car dealerships need to be franchised? Is that also for our safety? Because if I buy direct from the manufacturer, the elderly will just drop dead where they stand and children will spontaneously combust? It sounds about as nefarious as arranging flowers without a license! The world is getting smaller, and I’m coming to find out that the simple things in life are far easier to get in every country OTHER than the “land of the free”. While other countries might not have the warm n’ fuzzy taglines we do about freedom, liberty, and justice for all… their citizens tend to get more of it than we do. Other jurisdictions have more stable and better capitalized banks. They are more economically free in general with simpler tax codes, lower tax burdens, and less regulations. It would seem, other nations have more rules than they care to enforce, while America tends to enforce more rules than it has. Are You an Un-Patriotic, Immoral Tax Cheat? Wow ! Couldn’t say it better. There are too many laws and regulations that have no sense. Why is this so ? In one sentence, “to protect the public”. A good argument when one thinks that there has been so much abuse in the past. But where’s the balance ? Our legislators, from the federal to the municipal levels, pass myriads of laws “for the common good”. When you take the time to read their legislation, one wonders what is the common good… like needing a license to arrange flowers. For some, going back to the Ten Commandments would be a good thing; I think that living in the 21st century requires rules and regulations, but with jugement and respect for all. Indeed, if we are going to say that licensing serves a purpose of making such-and-such a practice “safer” for the public, then that correlation should be rather clear to everyone right? I mean, while I personally don’t believe in needing a license for things, there are some things that make NO sense whatsoever. The example of flower arrangement, interior design, and brow weaving are some examples, but even marriage. Can we not simply say that marriage, like any other contract, requires consenting individuals who are the age of majority (i.e. adults) and leave it at that? Recently there was a state that wanted to order licensing for HAIR BRAIDING! I have friends who have been braiding hair for eons without a license, and they get repeat business because they are good at what they do and have not disappointed their customers. What on earth purpose would introducing a license into this practice serve to the general public exactly??? If the average person doesn’t see the point, chances are it’s not necessary. I mean, here in the states we require our laws to pass constitutional muster. But I think before it even gets that far, it should meet the burden of basic common sense! New Jersey is doing this as well. and her friends really liked it. and here also have a lot of golfers and they don’t seem to care.